At Sun Discount Pharmacy we firmly believe that everyone should have access to affordable yet quality healthcare. 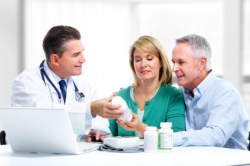 Our generic plan is here to make sure that you can get your medication in a less expensive manner without compromising the quality of the medications that you purchase. Moreover, we guarantee that our medications are all FDA-approved generics – so, you can rest your mind knowing that your health is in good hands. Call us at 941-556-9622 and ask us about our generic plan today.